For a generation now, camera development has been measured in megapixels, but Lytro, which demoed today at AsiaD, is hoping its new camera will constitute the biggest leap in imaging since we swapped film for digital. The company, founded by Ren Ng in 2006, has built a whole new kind of camera capable of performing a number of tricks that standard digital cameras just can’t do. The technology works by capturing a whole scene and digitally recording all the light available, instead of bringing a specific element into focus. Lytro calls the resulting images “living pictures,” because each one contains more data than the single visible frame can display. After taking the picture, users of the camera can choose what they want in focus, and even switch between 2D and a subtle 3D image. “We’re capturing this multi-dimensional set of data and… we can create some really really different and amazing pictures,” Lytro Chairman Charles Chi said, while demonstrating the camera on stage at AsiaD. 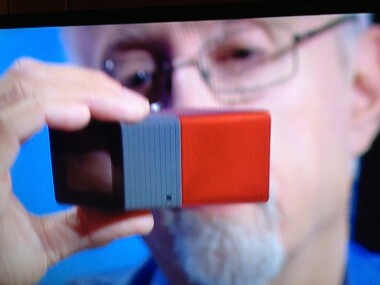 In addition to its bag of tricks, Lytro is touting the speed of the camera. Because the camera doesn’t need to focus, the image capture is nearly instantaneous. The light field technology also improves picture-taking in dark places without a flash. The technology is an outgrowth of Ng’s doctoral work at Stanford in what is called “light field” imaging. Ng hopes Lytro can upset a digital camera industry that has been dominated by the Japanese giants of imaging, Canon and Nikon, for generations. Its first cameras will ship early next year, with models starting at $399. As for the camera itself, it boasts an f/2 aperture even when using its 8x zoom. It only has two buttons, with a touch surface used for the zooming. The back of the camera is a small multitouch screen that can be used to compose and view pictures. The technology behind Lytro is compelling enough to have attracted $50 million in venture investment to date, including sizable chunks from Andreessen Horowitz, Greylock Partners, K9, and NEA. All are hoping Lytro can take a serious chunk out of the traditional digital camera industry, which the company claimed was worth nearly $40 billion in 2010. AllThingsD‘s Ina Fried contributed from Hong Kong.